When Monica Petersen met Captain Jerry Casey, Corps Officer of The Salvation Army in Monroe, Louisiana, she had never found a place where she could find the support she needed. “I was an addict. And I had lost everything,” says Monica. “Captain Casey said I could come stay here,” she says, referring to The Salvation Army shelter in Monroe. Her addiction had made it difficult to rebuild a life. Her options of places to stay and people to spend time with had not worked to provide the stability she needed to make real change in her life. But after meeting with Captain Casey, Monica was able to find a place at The Salvation Army shelter. “It’s more than just a place to stay,” says Monica. It is a place where she was able to find the opportunity to make real change in her life. It was a change that she is still working on, but it is a path she is not walking alone. Monica says that with the stability she found at the shelter and with the continuing help of Captain Casey, she is making progress in her journey. “He and I will sit down to talk from time to time. 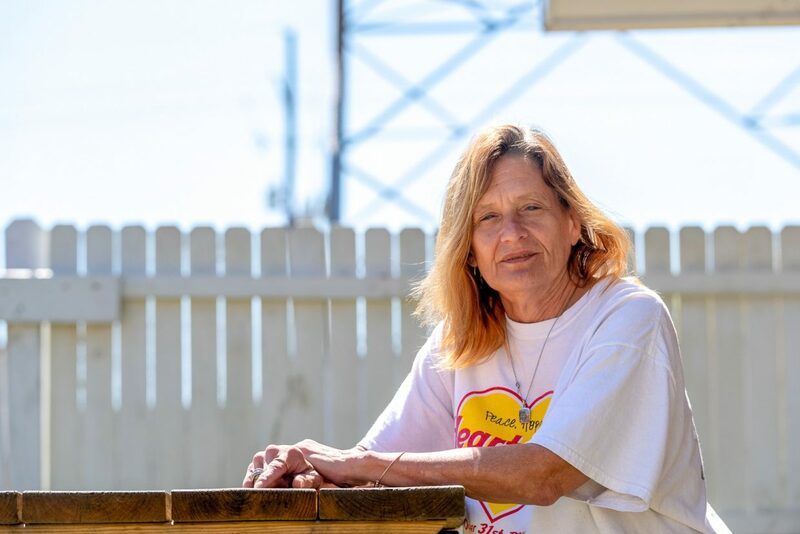 He’ll see how I am and where I’m going, and he’ll see if I have any other options like AA or other treatment programs,” she says. It is a journey that she says was made easier during her time at the shelter. “It’s real safe and comfortable here,” she says. Meals are available every morning and evening, and the opportunity for emotional and spiritual care is also available. Monica describes the shelter as a real community. “He’s a really fair man. Really good to his clients” she says of Captain Casey. Now that she is no longer staying at the shelter, she knows that the support she found in that community is still there. “If I need anything, he’ll go out of his way to help out,” says Monica. Monica’s story is not unique, but she is grateful for the help she found. “I’ve been homeless for about a year and then I found a place,” she says. Now staying in her own place, she returns when she can to volunteer at the shelter, giving back to the community that helped her. “Thank God for Captain Casey,” says Monica. To help The Salvation Army shelter in Monroe continue providing this vital help to Monica and so many others, please go to GiveShelterNELA.org and donate today.